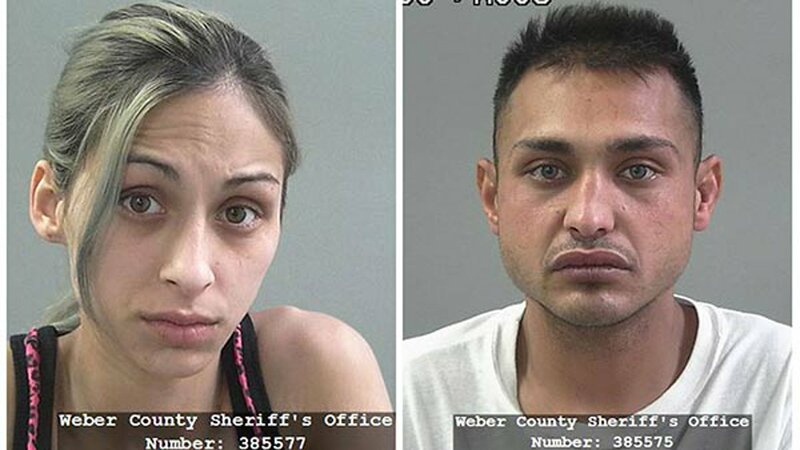 SALT LAKE CITY, Utah -- A Utah couple accused in the death of their toddler daughter taunted the malnourished child with food and attempted to cover her injuries with makeup, prosecutors said in charges filed Tuesday. Authorities say they found cellphone videos that show the 3-year-old girl's condition growing progressively worse over the year and a half before her "extremely malnourished" body was found at the family's home. Angelina Costello's mother and father were both charged with aggravated murder, which carries the possibility of the death penalty. Their lawyer, James Retallick, didn't immediately return a message seeking comment. The videos found on the parents' phones show Angelina's parents, Brenda Emile, 22, and Miller Costello, 25, apparently presenting the girl with food, and then taking it away and disciplining her, police said in charging documents. Angelina was found July 6 after her parents called police to report she wasn't breathing at the family home in Ogden, located about 40 north of Salt Lake City. Her body was covered with burns, cuts and bruises, some of which looked new and others that appeared to be in various stages of healing, police said. Emile later told police she used a layer of makeup to conceal some of her daughter's injuries "so they didn't look as bad," charges state. Two other children were removed from the house and given to state child protective services, police said. Officers searching the couple's cellphones later found pictures and videos taken between January 2016 and June 2017 that show the child obviously upset, police said. In one video the girl's father used the feet of an infant to kick the girl in the face, prosecutors said. Police say Costello acknowledged he knew Angelina was in danger of dying if she didn't get medical attention, but did not take her to the doctor. He said Emile, who cared for their children during the day, told him Angelina's siblings had injured her but Emile didn't want to take her to a doctor because she feared a police investigation and her children being taken away. Prosecutors are asking the couple be held without bail, saying they have ties in several states and Costello's travels frequently for his job as a scrap metal dealer. They also say the pair had tens of thousands of dollars in cash when they were arrested.